I know I'm pretty enthusiastic about most garments I put on here, I can't help it, I love clothes, and lets face it, if I feature something on here it either means I've spent my hard earned cash on it, or I've been given the opportunity to pick something from a retailer. So either way, I'm not going to not like it. Sure I can review and sometimes criticise the fit, fabric and colour for example, but I normally already like the style and/or print of a garment. 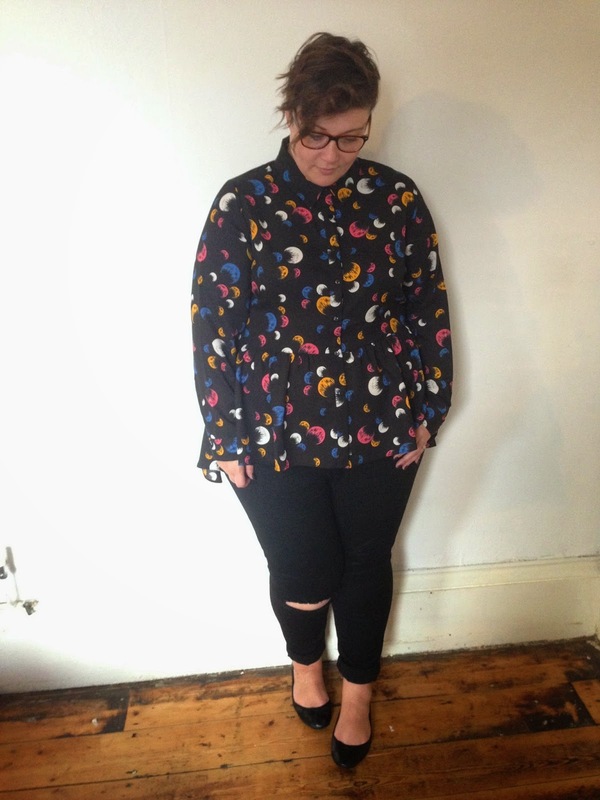 I saw this Jeffrey & Paula blouse on the Simply Be website the other day and thought I'd give it a go (they've just upped my credit limit, dangerous territory), and as much as I thought it was cute, I was not expecting to love it as much as I did when it arrived. 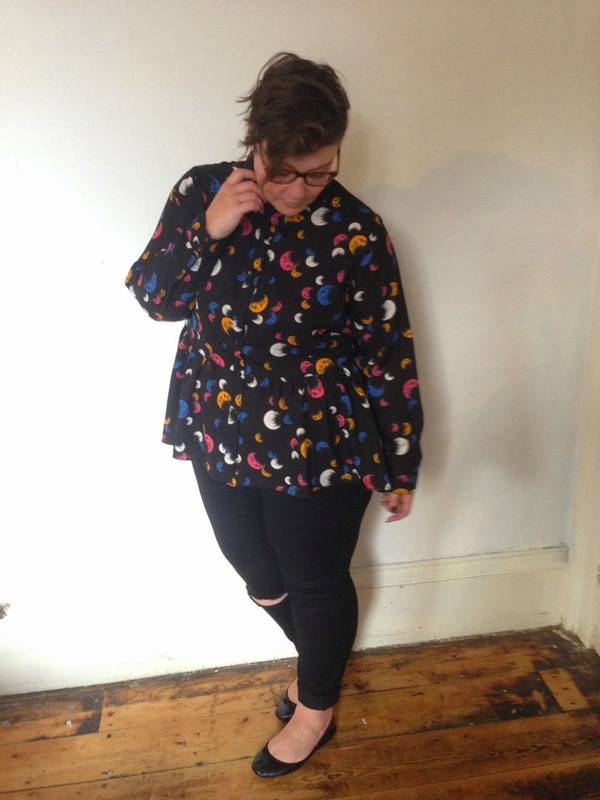 Oh it's so pretty, it's the prettiest blouse that ever lived. The print is just stunning and the peplum makes me feel all fancy and a bit grown up. I want to wear it every single day. Sadly I can't, it would get a bit smelly. Erm, moving on, enough of the lyrical waxing from me, lets get to the technical stuff. I sized up to the 24 and it was a wise choice, it fits perfectly, so I would definitely recommend on sizing up. The fabric has no stretch at all so you need that little bit of leeway. 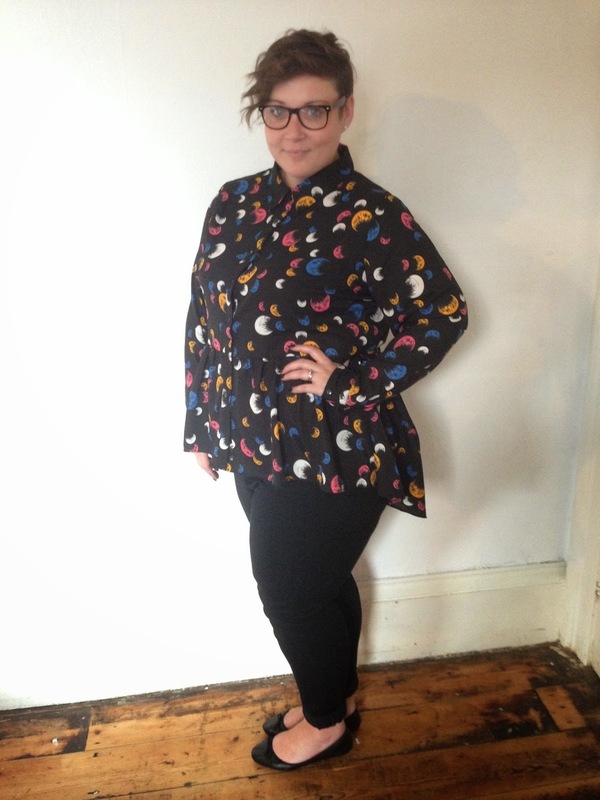 This blouse is currently down to £20 in the sale, I urge you to purchase it. I love that, such a lovely design! Great print. I keep telling myself to branch out into separates but it never seems to happen!